The Villa Group has long been one of the best value timeshare companies offering first class vacation ownership opportunities in Mexico. For more than thirty years, the Villa Group have been in operation, boasting a small chain of incredible, high quality timeshare resorts in Mexico’s top vacation destinations. Below you will find a brief introduction to each of the destinations offered by Villa Group timeshare when you purchase Villa Preferred Access membership in any of the destinations mentioned below. 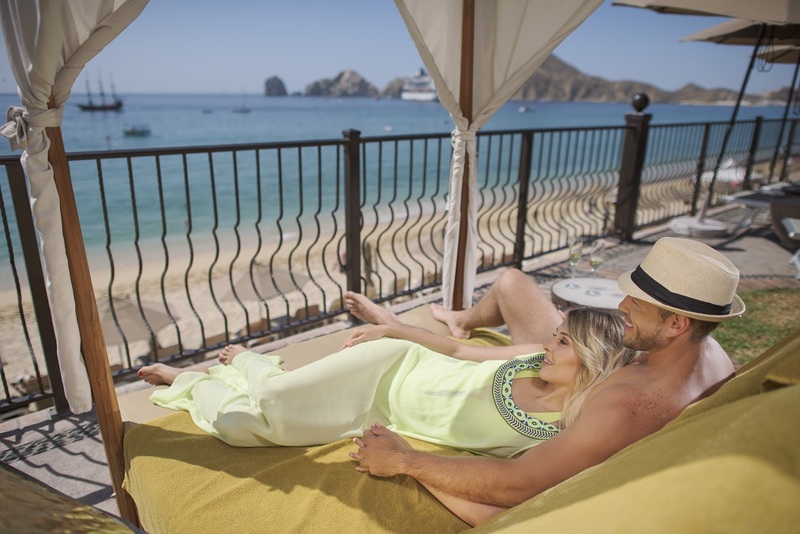 One of the top Villa Group destinations you can choose to visit when you become a timeshare members with Villa Group is Cabo San Lucas on the Baja California Peninsula. 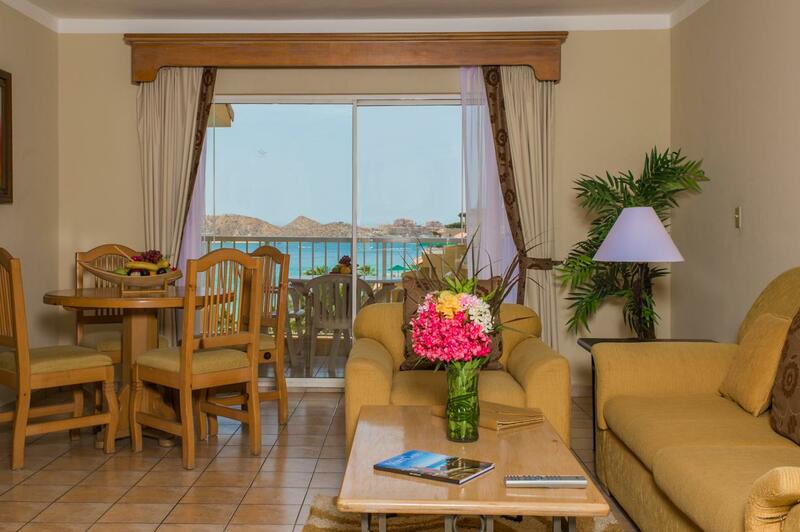 Villa del Palmar Cabo is located on the beach in Cabo San Lucas, one of the best swimming beaches. Cabo San Lucas is famed for its large rocky arch at Land’s End called El Arco, which you can visit by taking a water taxi or organized tour, as well as a wide selection of restaurants, bars and sunny weather. The kinds of activities you might enjoy in Cabo San Lucas include whale watching (from November through March), tequila tours, ATV adventures, parasailing, horseback riding and even a camel ride! The very first Villa Group resort was built in Puerto Vallarta. This top vacation destination continues to attract thousands of visitors each year looking to enjoy its lush jungle covered mountains, deep sapphire ocean and sandy beaches. 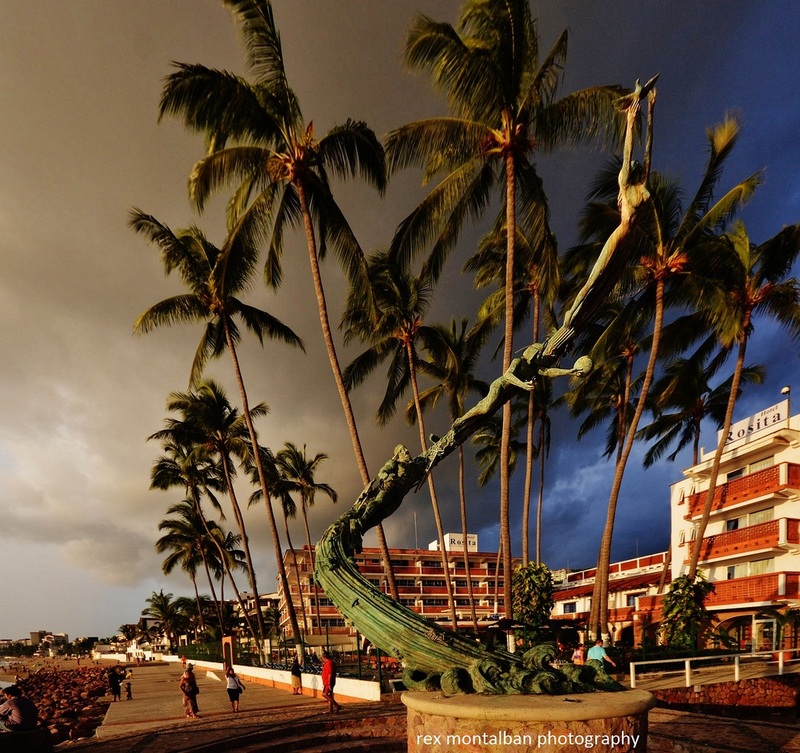 The Malecon is one of the most enchanting features of Puerto Vallarta; a mile long boardwalk boasting bars, restaurants, street vendors and an almost guaranteed sunset over the Pacific, the Malecon is the best free activity in Puerto Vallarta. Other activities you can enjoy in this popular Villa Group destination include zip-line tours, skydiving (November through April), paddle boarding, tequila tours, a pirate ship adventure and more. 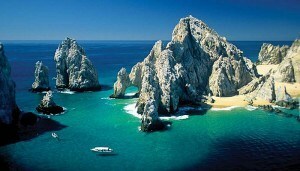 Like Cabo San Lucas, whales visit Puerto Vallarta and Nuevo Vallarta from November through March. Located in Riviera Nayarit, Nuevo Vallarta is just 30 minutes or so from Puerto Vallarta and is an area where you will find the best hotels and resorts on Banderas Bay, particularly for all inclusive packages. 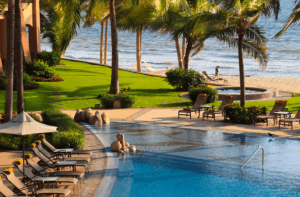 Nuevo Vallarta is a popular Villa Group destination owing to its long stretch of sandy beach that seems to continue endlessly towards the northern point of Banderas Bay. Nuevo Vallarta enjoys a selection of excellent restaurants as well as being close to locations to swim with dolphins and enjoy all kinds of excursions. 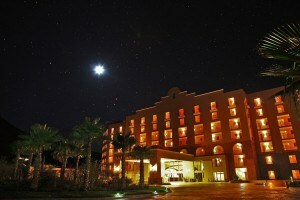 This is a relatively quiet area for a great family vacation or romantic escape. Villa Group also offer a number of top real estate opportunities for luxury second homes at our Villa La Estancia resort in Nuevo Vallarta. One of the most recent additions to the Villa Group family of destinations, Villa del Palmar Cancun offers luxury 5 star accommodations in an exclusive location in Cancun. 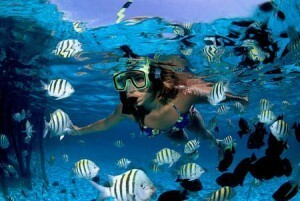 Cancun is one of the most popular Mexico vacation destinations for a variety of reasons. 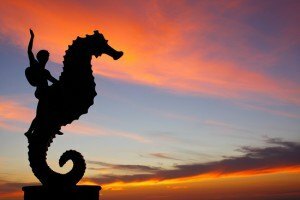 Not only does it offer breathtaking Caribbean beaches with white sand and turquoise water, but also fine dining, night clubs, Mayan ruins, fresh water sink holes called cenotes to dive in, the most amazing diving and snorkeling sites as well as a number of islands to visit including Isla Mujeres, Cozumel and Holbox. Cancun also has its own pirate ship cruise and show as well as opportunities for adventure such as swimming with whale sharks, diving in an underwater museum and visiting shipwrecks or renting a jeep to explore the Sian Ka’an Biosphere. And finally, but by no means least, the Islands of Loreto, located on the Sea of Cortez in Mexico’s Baja California are a stunning example of nature at its best. The Villa del Palmar resort on the Islands of Loreto is a dream come true for those who love the ocean. Known as the aquarium of the world, snorkeling and diving is an incredible activity with eco tours to the islands and glass bottom kayaks to enjoy the calm sea. The quaint town of Loreto is also home to a charming Jesuit mission and museum and there are archaic cave paintings you can visit not too far from the Island of Loreto. This is one of the Villa Group’s most idyllic destinations.